Inversion of Control and Dependency Injection are some design principles that help make our applications more flexible and scalable. They both help us separate our implementations and make it easy to substitute drastic changes to our implemented data or business logic whether it be for writing unit tests or product improvement. In this post, I want to talk about using DI with Mvvm Light at a VERY basic level. Now let’s create two different implementations. One that will be the service used in the application and the other that will be used for testing. Now we need a ViewModel that will use this service. We define a private readonly IUserService and then inject the implementation that we want in the constructor of the ViewModel. Now let’s define an IoCConfig that handles registering dependencies and implementations. Now that we can register our Services as well as our ViewModels, the dependency resolver from SimpleIoc can retrieve an instance of CurrentUserViewModel with whichever version of IUserService is registered depending on whether we call RegisterServices or RegisterTestServices. Now in your XAML pages, you can automatically wire up your view model. In order to change to your testing data, you can just switch which call to your IoCConfig is made for registering your dependency without having to make any changes to any of your other layers or UI! I previously made a post about some Mvvm Light shortcuts / code snippets in Visual Studio, but what about Visual Studio for Mac? public ICommand $name$ => $fieldName$ ?? It’s as easy as that. Now go out there and start writing less code! So a recent Xamarin.Forms update released the new Bindable Picker, which allows you to bind an IList of objects to the picker (which will be ToString()‘ed). However, I’ve often find myself needing to create a form for a model that has enum properties. Previously, in order to do this, I would have to create a custom List or string from my enum and map it manually, then read from the SelectedItem bound to another string property, then when I need the actual value I’d have to map it back to the enum it “represents”. private DogBreed _breedEnum; // this is our enum of: BorderCollie, LabradorRetriever, PitBull, etc. Now that we have the ability to get a readable string from the enum values, let’s create our ViewModel properties we will need. So much cleaner already. Now we need to create a Converter that our XAML can use to actually set the SelectedBreed property of our ViewModel. Now you have the means to bind any of your Pickers quite easily to any of your custom enum fields! “Woah! How did you get that Material Design Looking Picker on iOS”… Stay tuned! // This is where the questions are. I figured I would make another post to dissect this and explain what it is and how it is used! First off, why are we doing this at all? What does this really do for us? Setting bindings like this creates event handlers in the background if the BindingContext (or DataContext if you’re in UWP/WPF) implements INotifyPropertyChanged. So now we can create auto-updating views with our bindings and calling PropertyChanged, but that’s a pain to do for every single property. That’s where libraries like MvvmLight come into play. They help handle a lot of the manual calls and ugly code. So now let’s look at what MvvmLight is really doing under the covers. First, we need to look at the ViewModelBase class that MvvmLight ships and that contains the Set method we are talking about. ViewModelBase inherits from ObservableObject (another class MvvmLight), and ObservableObject is what is implementing INotifyPropertyChanged! We found it! So how are ViewModelBase.Set and ObservableObject.Set making their way to calling PropertyChanged? The first is of type Expression<Func>. It is an expression that is returning the property that is calling it? This is where the fun stuff is really happening, so more on that later. The second is the underlying field that needs to be updated, passed in as a reference type rather than by value. The third is the new value that it is being set to. The last two seem to make sense right away: what field are we updating, and what is the value we are setting it to? We need to pass the field in as a ref so that when we update it, it updates in the original model that passed it in rather than simply passing the value of the field into the method. So what is that Expression? The only thing left in order to call PropertyChanged is the name of the property being updated, so that must be what the property expression is for. Without decompiling the MvvmLight dlls and looking at the source code, we can infer how we might be able to pull the property name out of that Expression. First, we need to get the Body of the Expression as a System.Linq.Expression.MemberExpression. The MemberExpression has a Member property which we can then pull property info from. We can cast that Member as a System.Reflection.PropertyInfo, and with that PropertyInfo, we can take the name of the property. var finalPropertyName = member.Name; // we have it! Then the final step is to finally invoke PropertyChanged with that property name. If you happen to have any other questions about how this works, or about breaking down Expressions like we did, feel free to drop a comment on this post, or mention me on Twitter @Suave_Pirate. Interested in sponsoring your developer content? Message me on twitter @Suave_Pirate for details. This is a short set of freebies. 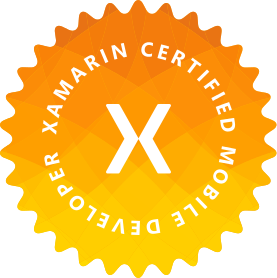 If you use MVVM Light in your Xamarin or Windows projects, this will save you loads of time. I’ve created a few short cuts for Visual Studio to generate code templates for your ViewModels! If you aren’t using things like prop or ctor, then you should be! Why write out all that code when you don’t have to! Take these snippets, and install them into your VS instance. There is documentation here on how to do this: https://msdn.microsoft.com/en-us/library/ms165394.aspx. So let’s look at some templates. I have a repo up here where I’ve added the two we will talk about here, but I’d love to see more in there! So now we can type propb > Tab > Tab and get our template going! The shortcut for this is rcmd > Tab > Tab, and we have our neat little RelayCommand that even brings our cursor back to inside the RelayCommand where we can continue to write out our logic. Now go out there and write less code faster!